We are delighted to welcome Shady Ashamalla to the University of Toronto, Division of General Surgery. Shady grew up in Toronto playing hockey and lacrosse on the streets of Leaside, just south of Sunnybrook Health Sciences Centre. He has now been appointed as a minimally invasive surgical oncologist at Sunnybrook in the Division of General Surgery in the Odette Cancer Program. Shady did his undergraduate studies at the University of Guelph in biomedical sciences while simultaneously playing professional and varsity lacrosse. Following that he went to Kingston to complete a Masters of Science degree in Physiology. Shady then returned home to Toronto to attend medical school, General Surgery residency, and fellowship training in Minimally Invasive Surgery and Surgical Oncology at the University of Toronto. His clinical focus will be in the management of advanced lower intestinal oncology. He is expected to be a game changer due to his great skill and focus on minimally invasive techniques. Shady has been appointed as an Assistant Professor and Surgeon Teacher. He has particular academic interest in Surgical Simulation, competency-based training and knowledge translation. Shady and his wife Alison, a family physician who inspires him on a daily basis, and their children Dylan, 3, and Kristen, 1, are excited to join the U of T family. Sandra de Montbrun has joined the Division of General Surgery at St. Michael's Hospital with a clinical interest in colorectal oncology, and has been appointed to the University of Toronto as an Assistant Professor and Surgeon Scientist. Sandra obtained her Honours Bachelor of Science degree from the University of Waterloo followed by her MD at the University of Toronto. She completed her residency in General Surgery at Dalhousie University in Halifax. Following this, she returned to Toronto to complete a clinical fellowship in colorectal surgery and an MSc from the Ontario Institute for Studies in Education at the University of Toronto. Her research interests and academic focus lie in the assessment of technical competence and the evaluation of advanced technical skills. Dr. de Montbrun has been working with both the American Society of Colon and Rectal Surgeons and the American Board of Colon and Rectal Surgery to develop an objective structured assessment of technical skill for colorectal graduates. The Division of General Surgery at Women's College Hospital welcomes Karen Devon, an Endocrine and Thyroid Surgeon with an interest in Medical Ethics and Education. After receiving her MDCM at McGill University Dr. Devon entered the General Surgery Training Programme and the Surgeon Scientist Programme here at the University of Toronto. She was awarded her MSc in Clinical Epidemiology in 2008 and her FRCSC in General Surgery in 2010. Karen then completed 6 months of postgraduate training in Breast Surgical Oncology at UHN, followed by a Clinical Fellowship in Endocrine Surgery at the University of Chicago. This Fellowship included one month in the Philippines studying the surgical treatment of goitre. Additionally, Karen completed a Surgical Ethics Fellowship at the MacLean Center for Clinical Ethics at the University of Chicago. Presently, Karen is enrolled in the Education Scholar Programme at the Centre for Faculty Development and Education at the University of Toronto. Karen has a primary appointment at Women's College Hospital and an Associate Staff Appointment at UHN, where she will also have a clinical presence. The Department of Surgical Oncology, Division of Urology is pleased to welcome Robert Hamilton to the University Health Network, Princess Margaret Hospital. He completed medical school and urology residency at the University of Toronto. During residency, he earned a Masters of Public Health (MPH) from the University of North Carolina at Chapel Hill and completed a research fellowship at Duke University. Before joining the Faculty, he completed a fellowship in Urologic Oncology at Memorial Sloan-Kettering Cancer Center in New York City. His clinical practice encompasses all genitourinary malignancies, with special interest in prostate and testis cancer. His research interests focus on epidemiology and biomarkers in predicting risk and progression of these cancers. He has helped characterize the role of statin medications in prostate cancer primary and secondary prevention. He is working towards understanding mechanisms of prevention, and personalizing prevention using genetic markers. Robert is married to Catherine Varner, a staff physician in the Division of Emergency Medicine at Mt. Sinai Hospital. Robert and Catherine are expecting their first child in the spring. The Division of Neurosurgery is pleased to welcome Paul Kongkham to the Department of Surgery. Paul obtained his MD at the University of Toronto in 2001, following which he entered the Neurosurgical residency program here at the University of Toronto. During residency Paul enrolled in the Surgeon Scientist Programme, completing his PhD in the laboratory of Dr. James Rutka. After obtaining his Royal College Certificate in 2011, Paul traveled to Houston for a one-year clinical fellowship in Neurosurgical Oncology at the University of Texas MD Anderson Cancer Center. Paul returns to Toronto, joining the faculty within the Division of Neurosurgery at the University Health Network as a Surgeon-Scientist. His clinical interest lies in the treatment of adult patients with primary and secondary intra-axial brain tumours, awake craniotomy, and imageguided surgery. His research will be focused on the study of epigenetic factors involved in the pathogenesis of primary glial tumours as well as CNS metastatic disease. 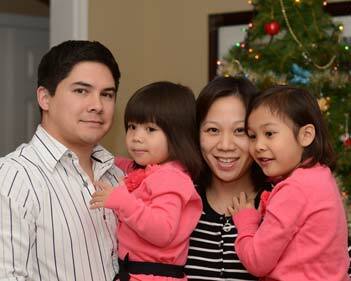 Paul is married to Dr. Dini Hui (Obstetrics, Sunnybrook), and together they have two daughters, Natalie (6) and Naomi (3). Stefan Hofer is extremely happy to welcome Steven J McCabe, MD, MSc as Director of the Hand Program at the Toronto Western Hospital effective August 1st, 2012. Steven graduated from The University of Toronto Medical School in 1980, received his Master of Science degree from McMaster University, and trained in Plastic and Reconstructive Surgery in London, Ontario. He worked with Dr. James Murray as a hand surgery fellow at Sunnybrook Health Science Center and the Workers' Compensation Board of Ontario. He further trained in hand and microsurgery at the Kleinert Institute in Louisville Kentucky for two years before coming back to work at Sunnybrook. While in Toronto he studied in the Clinical Epidemiology program at McMaster University finishing with a Master's of Science degree. Dr. McCabe moved back to Kentucky to join the faculty at the University of Louisville and the Kleinert Institute. He has been the President of the American Society for Peripheral Nerve and the American Association for Hand Surgery. In Louisville Dr. McCabe finished a certificate program in health professions education and had an appointment in the Department of Surgery and as a senior faculty member at the School of Public Health in the Department of Biostatistics where he taught research methodology and decision analysis to graduate students, clinical fellows, and young faculty. He earned the Distinguished Teaching Professor Award for this contribution. Dr. McCabe's research interests include elucidation of the cause of carpal tunnel syndrome, clinical research on the diagnosis and management of carpal tunnel syndrome, and decision modeling as applied to the upper extremity. His clinical interests lie in upper extremity trauma, nerve compression, and arthritis. He has just returned from a Fulbright scholarship in Italy where he taught research methodology at the University of Siena. As Director of the Hand Program, his goals are to transform the Program into a University wide collaborative group, to develop a program in hand transplantation, and to invigorate the academic activities of the Program. 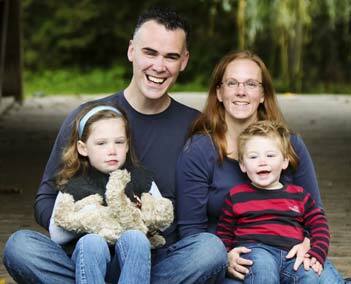 Dr. McCabe is married and has three children and is located on 2 East at the Toronto Western. The Division of General Surgery is pleased to announce the recruitment of Fayez Quereshy, a graduate of the University of Toronto Medical School and General Surgery Training Program. During his General Surgery training Fayez entered the Surgeon Scientist Program and was awarded a Masters of Business Administration (MBA) from the Joseph L. Rotman School of Management at the University of Toronto. He became a Fellow of the Royal College of Surgeons in 2010. Fayez subsequently completed Fellowship training in Surgical Oncology at the University of Toronto and Robotic Surgery Training in Hong Kong. His clinical practice is centered on minimally invasive surgery and colorectal surgical oncology. Fayez's research will focus on Operations Management and Process-level Evaluation and Optimization of Outcomes. Dr. Quereshy is based at Toronto Western Hospital: 8 Main Pavilion, Room 320, and he can be reached at 13-5553. The Division of Orthopaedic Surgery and Mount Sinai Hospital are pleased to welcome Thomas Willett as assistant professor and research scientist/engineer. Tom trained in mechanical engineering at Queen's University, receiving his BSc and MSc before pursuing a PhD in biomedical engineering at Dalhousie University. His research interests span biomechanics and mechanics of biomaterials in orthopaedics and the musculoskeletal system including: (a) improving materials and methods for intercalary defect reconstruction of long bones, (b) developing methods to produce irradiation-sterilized allograft bone with improved strength and toughness in order to avoid graft fracture in load-bearing applications, (c) developing a better understanding of the mechanisms that lead to pathologic fractures, especially in oncology patients who have received radiotherapy, (d) studying the effects of bone collagen modifications occurring in ageing and disease on the mechanical behaviour and fracture susceptibility of cortical bone and (e) mechanical testing of various orthopaedic implants and reconstruction techniques.